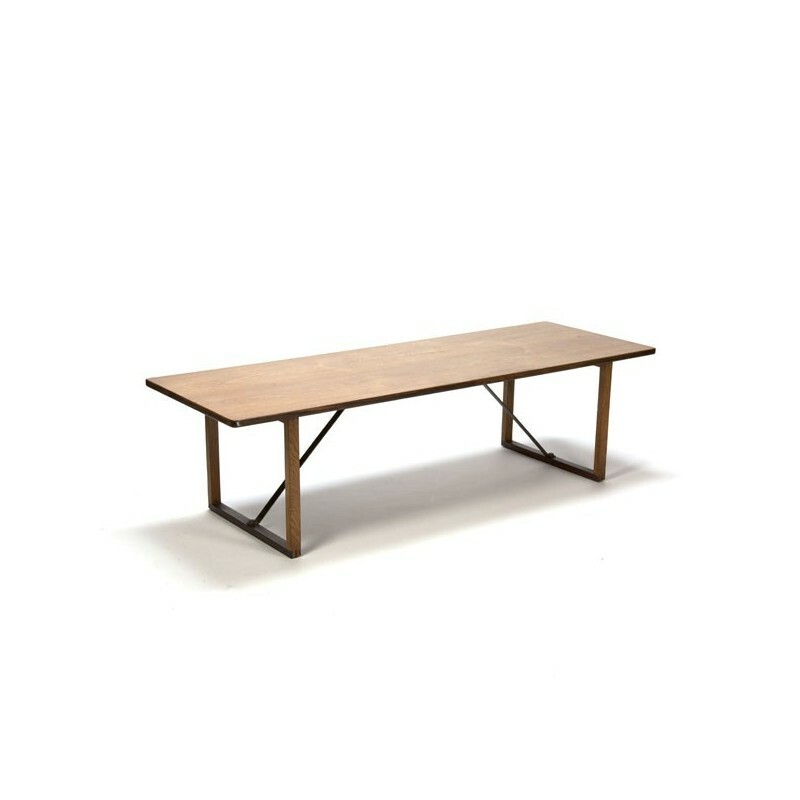 Vintage design coffee table designed by Børge Mogensen in the sixties. 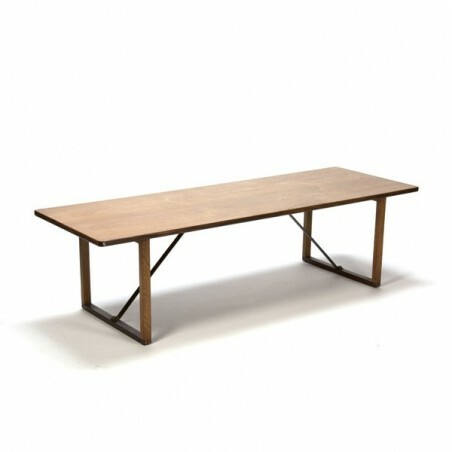 The table is made in Frederica Stolefabrik, Denmark and made ​​in teak and oak with a brass cross brace. The condition is good, slight wear are visible, see the detailed pictures. The dimension is 160 cm L / 55 cm W / 44 cm H.